Ana Margheritis is Reader in International Relations at the University of Southampton. She previously worked at University of Florida, The Fletcher School of Law and Diplomacy at Tufts University, and Tulane University in the US, as well as Universidad Torcuato Di Tella in Argentina. She also hold visiting positions at Columbia University, University of California at San Diego, Getulio Vargas Foundation in Rio de Janeiro, ITAM in Mexico, University of Milan, CERI at Sciences Po, CEACS at Juan March Institute in Madrid, and FLACSO Ecuador. She is the author of Argentina’s Foreign Policy. Domestic Politics and Democracy Promotion in the Americas (2010); Ajuste y reforma en Argentina, 1989-1995: La economía política de las privatizaciones (1999), and volume XI of Historia de Las Relaciones Exteriores de la República Argentina, 1943-1989 (within a series of fifteen volumes, with Carlos Escudé et al., 1998). She is the editor of Latin American Democracies in the New Global Economy (2003) and former Contributing Editor to the Handbook of Latin American Studies at US Library of Congress. 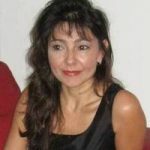 Her articles have appeared in a wide range of journals, including International Migration Review; Review of International Political Economy; International Political Sociology; Journal of European Public Policy; Studies in Comparative International Development; Global Networks; Journal of Latin American Studies; Latin American Perspectives; Política y Gobierno, and Latin American Politics and Society, among others. Her next book will focus on state policies towards their citizens abroad in five Latin American countries.